We are excited to introduce Haven, Boffo Properties’ new townhome community in Port Coquitlam. 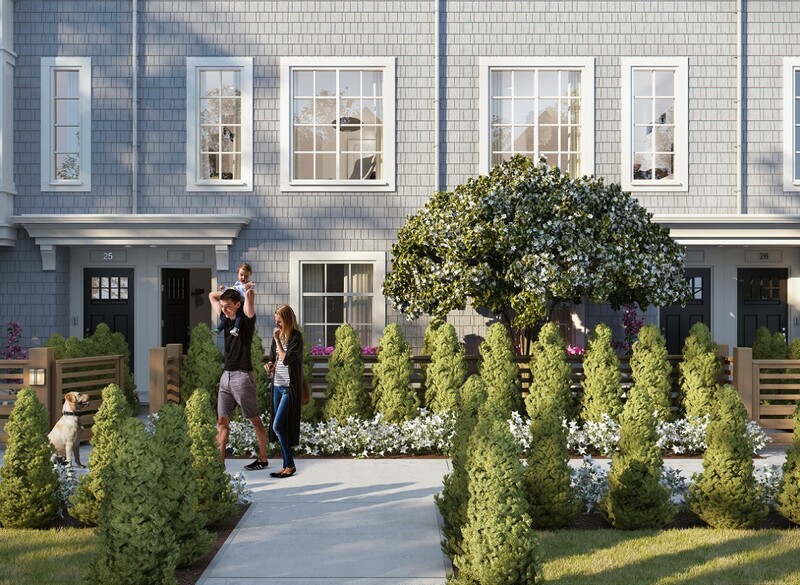 These beautiful East Coast inspired townhomes, designed by Ciccozzi Architecture, incorporate internal greenways connecting homeowners with the multitude of parks and trails that surround this amazing location. Haven is centrally located and surrounded by green space, but also offers easy transportation routes to downtown Vancouver by car via Highway 1 or by transit on the West Coast Express or Evergreen Line Skytrain. With a school just down the street and the town centre of Port Coquitlam just a short jog away, life never got so easy. Haven will offer spacious three and four bedroom homes ranging in size from 1312 – 1843 sq.ft. The interiors are as luxurious as the outside offering well-planned layouts designed to maximize space for the growing family, 9 ft. ceilings in most living areas, and two designer selected colour schemes, which combine both modern and contemporary styles. With only 45 townhomes available in this exclusive community, be sure to register your interest directly for Haven at www.residehaven.ca.